Our complete array of book production services for authors, businesses and publishers. Get your ebook or print book published today. You can pick and choose from the list of services below, depending on what your book project needs. If you want us to take the reins and build your book from the manuscript to the finished product, you can sign up for our Book Builder Package, which includes all of these services. For an idea on how much these services will cost, see our pricing estimates below, or contact us for a free, no-obligation quote. Substantive editing: A professional editor reads your book and helps you with structure, character development, plot progression, communication of your theme / message, and other large, overarching problems you might have in your book. Stylistic editing: A professional editor will help you improve your writing, looking at your work on a sentence by sentence basis, commenting on things like your usage, clarity, structure, and tone. Copy editing: A professional copy editor will check your work thoroughly for clarity, consistency and style, fixing things like grammatical errors, spelling, incorrect usage, facts, and will ensure that your book adheres consistently to a style guide. Print book production: A production specialist will lay out your entire book interior, typesetting your content and repairing any visual issues with your book’s layout. You will be provided with PDF proofs for proofreading and approval, and then you will receive your print-ready package to deliver to a printer. Proofreading: A proofreader will check every page of your finished book, making sure there are no visual errors, and that it completely matches the final corrected manuscript that you provided. Left over grammatical errors may be caught and corrected here as well. Cover design: A cover designer will work with you, providing several mock ups, to create a digital-only or print book cover (or both) that reflects the heart and soul of your book. Once you have decided on a cover your designer will provide you with the final files necessary for printing, or a max-resolution file for digital-only books. Ebook development: A developer will convert your book’s content into a top of the line, up to spec and beautiful digital book that can be published on all ebook vendor webstores, including the Apple iBooks store, the Amazon Kindle store, the Barnes + Noble Nook store, the Kobo store, and more. Print packaging and advising: A consultant will guide you through your choices when it comes to having your book printed. We will communicate with the printer, ensuring that they have the proper files and that your files are formatted to the printer’s specifications. The consultant will help you with choices like cover stock, paper stock, binding and format. Ebook vendor advising: A consultant will guide you through the often complicated process of getting your ebook published online. We will help you get your book up for sale at Apple, Kobo, Google, Barnes and Noble, and Amazon, making sure that you have your own account at each of these vendors so that you have full control over your ebook and you don’t have to give up any of your royalties to a middle man. Self publishing service formatting: If you want to simply publish your book through Smashwords or Kindle Direct and need your manuscript formatted so that it is properly processed by the automated ebook converters that are used by these companies, we can prepare your manuscript for you. Author websites: A developer will create a beautiful, easy to understand WordPress website for you and show you how to update it yourself, so that you can add content to your pages or even host a blog there. These prices are estimates, but can serve as an accurate guide for pricing your project. If your book is excessively long or complicated, it could result in extra charges. 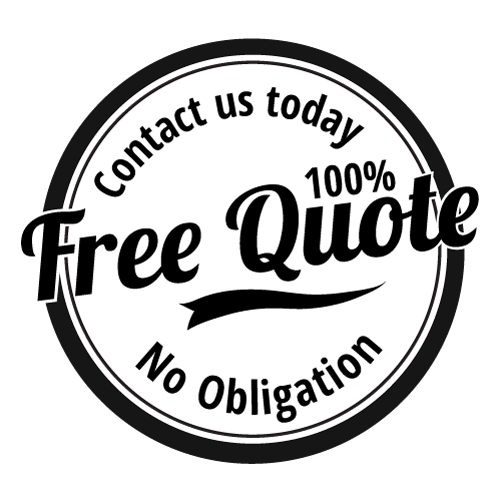 Every book is different and the best way to find out how much it will cost is to send us a request for a no-obligation quote. All prices below are in US Dollars. *Only available if we have also designed your print book. These services are a little harder to estimate. It really depends on your book and your needs. For a more solid idea, please request a quote. Do you need someone to help you navigate the landscape of self-publishing? If you’re not sure what you need to do to get your book published online or in print, or if you would rather place your focus on getting the word out about your book than the technicalities, we are here to help. Our consulting packages give you access to a publishing professional who can answer any and all of your questions, and build you book from a manuscript into a finished product that you can be proud of.